Birthday celebrations happen every day in every corner of the globe. 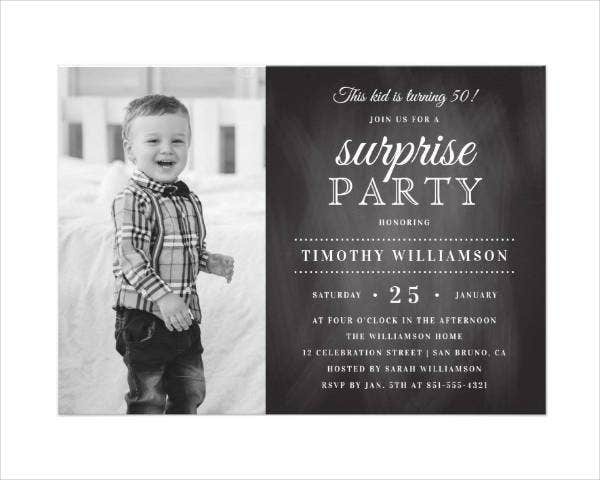 Invitations and birthday card templates are sent out to the guests who are sure to attend the celebration. Some have plain designs while others are edgy and unique. One unique design that’s gaining more popularity these days is the chalkboard font. These can be used in almost all types of designs. 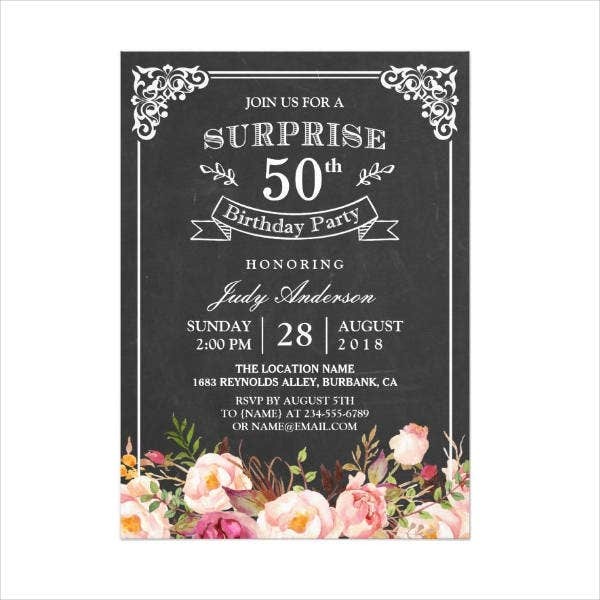 Designing a birthday card using chalkboard fonts will surely grab any reader’s attention. The uniqueness of the font is loved by many. It is artsier to read a message using simple chalkboard fonts. 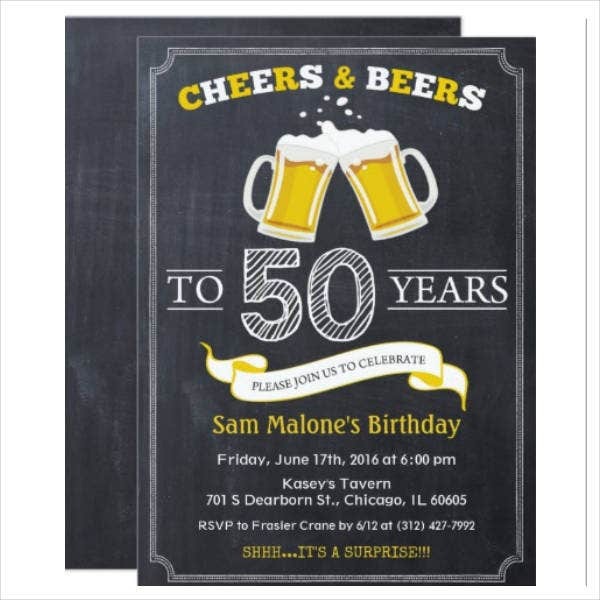 What Is A Chalkboard Font? For sure, you have tried writing on a chalkboard with a piece of chalk. No matter how good or bad our handwriting may be, there is that rare quality when we write using chalk. It has this uneven and rough texture that is different from other types of fonts. You may also see animated birthday cards. The chalkboard font was first released by Apple Inc. in 2003 and has since evolved into what it is right now. Any style of font can be used as long as it gives out a chalkboard vibe. It can be written in big and small letters, including numbers. It is also used in calligraphy. Chalkboard fonts have gone digital but it still gives off the handmade chalkboard writing. You may also see word format birthday templates. This kind of font is also used in making posters and announcements. Chalkboard fonts are attractive to the eyes and can hold itself on its own. There is no need for a flashier design since the font already grabs much attention to itself. You may also see free birthday card templates. 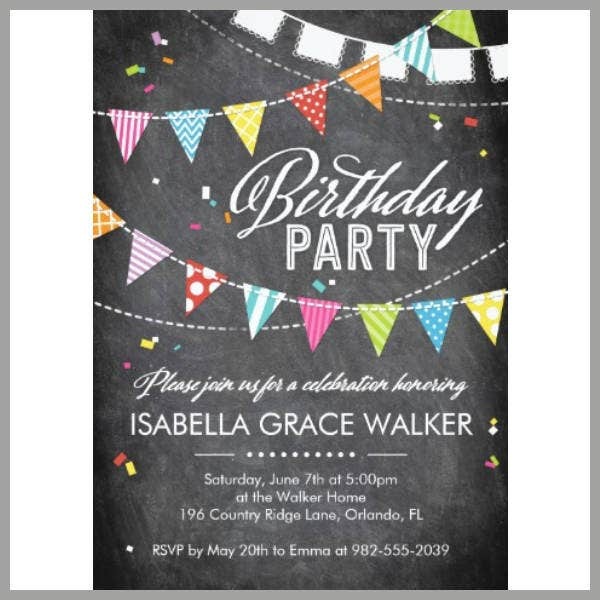 Chalkboard birthday cards can be designed in graphic design software such as Adobe Photoshop and InDesign. A black chalkboard texture is commonly used as a background. The first thing that you have to do is write your message on a piece of paper. It should be a brief and well-thought message. In the Photoshop file, place a chalkboard texture in your document. Select a font that has a chalkboard look on them. Adjust the size, width, and height of the font. Depending on what you want to highlight, you can adjust the font and use different font sizes. 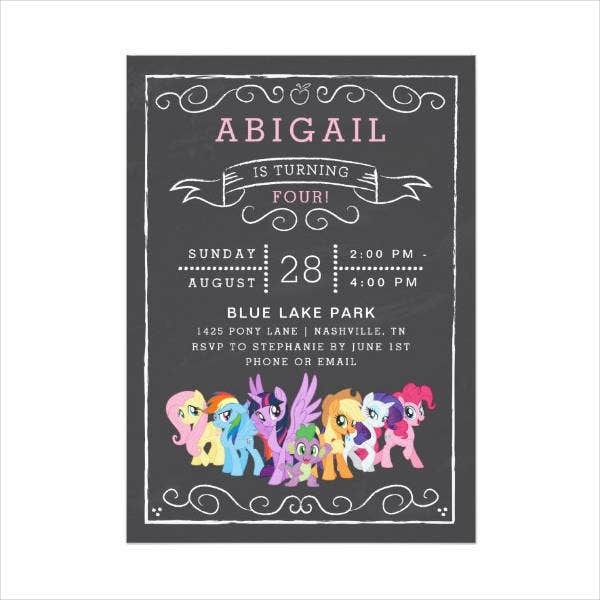 A chalkboard birthday card does not always use the color white. 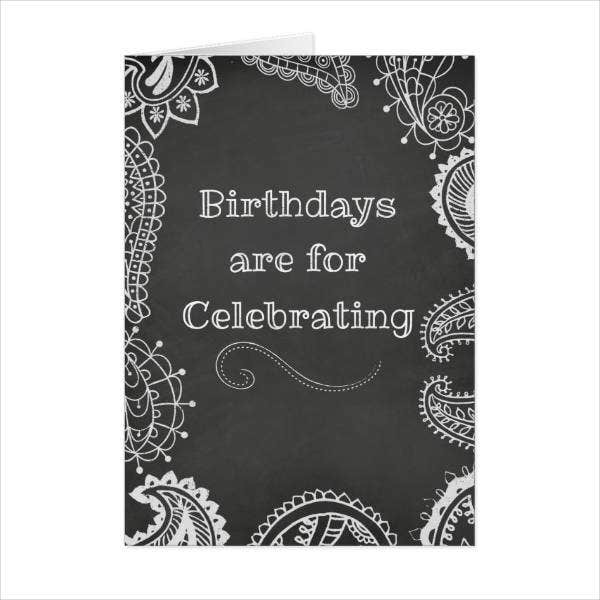 To give life to your birthday card, use bright chalkboard colors for the other words written on it. This gives the card a brighter and more uplifting vibe. Mix and match your fonts to make the whole birthday card look amazing. Do not forget to make a final run through of your document and saving your work after. Birthday cards are something we give to celebrants for their special day. Space may be limited, but it has the capacity to carry our heartfelt messages. It does not have to be lengthy, but these tips can help when you write your message. You may also see birthday card samples. 1. Pick the right card. In picking the right card, you should know the celebrant’s preferences. Most people just grab the first card they see without any regard to what the celebrant likes. If the celebrant likes anything pink, you can grab a pink birthday card template. If he likes anime and robots, look for a birthday card that has an iconic anime character design. This will make the celebrant feel more special since what he sees is close to his heart. 2. Focus on the card’s receiver. When writing a message, have your sights set on how the celebrant would feel. Write the message in a way that melts the heart of the celebrant and will make him feel extra special. How you play and construct with words really matter. You may also see birthday cards in PSD. A message feels more special when you share a special memory that you and the celebrant went through. Write it along with your message to make a heartwarming impact to the celebrant. The best memories that were shared are always remembered in writing. It brings joy to the ones you made them with. You may also see printable birthday cards. If you share a close relationship with the celebrant, putting in a little humor in the greeting will surely make him smile. Make sure the humor is not offensive to him or to anyone who reads it. There is always a limit to good and dirty humor. If you plan to use a dirty one, you really got to have a close relationship with the birthday celebrant. You may also see blank birthday templates. 5. Be as sincere as you can get. Sometimes, the pressure of filling the entire card with words is very real. But sometimes, there is no need for that. You just have to write the sincerest message that you can come up with. The more sincere it is, the better it feels. You may also see free birthday card templates. Chalk is a safe material for everyone. It is dusty in nature, but the dust can be rinsed with water. One benefit of writing using chalk is it gives you the stark contrast between the white chalk and the black chalkboard. If you are doing a poster using a chalkboard, you can use this contrast to your advantage. You have to know how to use it well so it can yield greater results. You may also see creative greeting card designs. Another thing about chalk is it is not permanent. Using chalk allows you to erase some mistakes and work harder to make it perfect. But of course, you have to be careful on every stroke that you make in your design. You may also see greeting card examples. 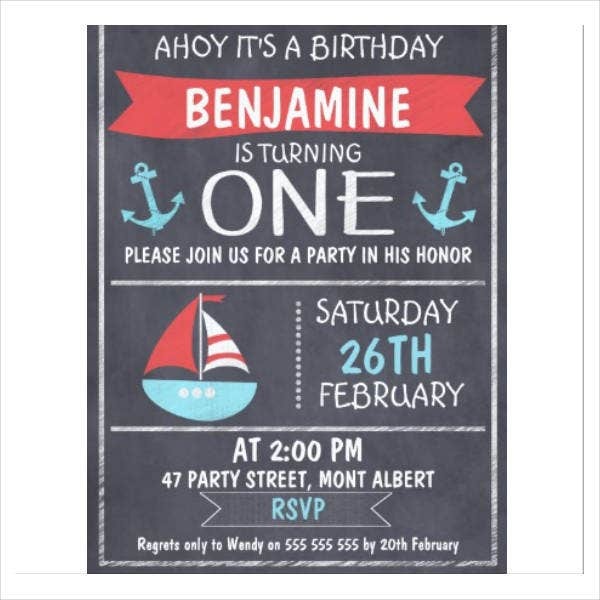 Chalkboard designs are inexpensive and offer variety to the usual designs we see. A box of chalk does not cost that much. As for the variety, the chalkboard design is unique in its own way. The contrast and the fonts used to write complement with each other. You may also see typography birthday cards. Chalkboards are cute and appealing in some way. It is written to give directions, label anything that is displayed for the public to see and add touch to the personal space you have. It is also great for writing posters, home signages, and big events. You may also see word format birthday templates. A chalkboard look can also be achieved without using chalk. You can use white crayons and colored pencils. Chalk pens, in contrast to the ordinary and usual chalk, is permanent once you use it for writing. It also has a chalky look in it. Another alternative to a chalkboard design is a white gel pen on black paper. It can pass as a chalkboard design if you write the message well. You may also see birthday cards for mom. Chalkboard designs are just great for almost anything. It is widely used in events and in small businesses. It has the power to attract people’s attention and appreciate the craft of writing beautifully even more.